The CEV 9313 is the most common tail light fit to most Moto Guzzi V700, V7 Special, Ambassador, 850 GT, 850 GT California, Eldorado, and 850 California Police motorcycles. Larry Pease sent me the following information via e-mail. 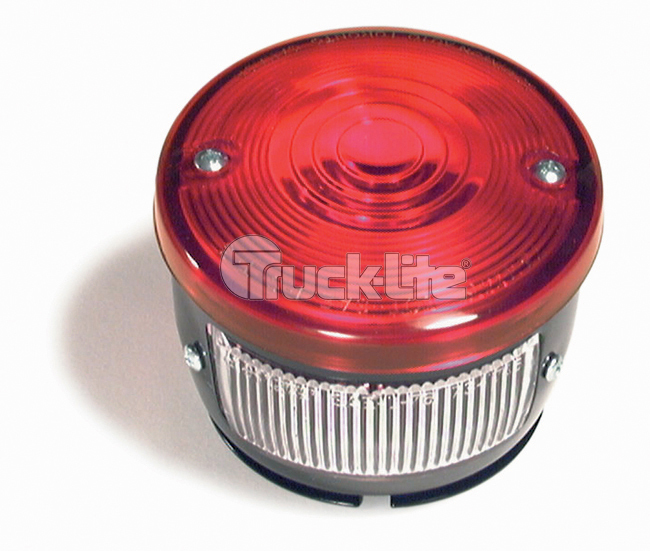 As an alternative to the original CEV 9313 tail light, the manufacturer Truck-Lite sells complete tail light assemblies and replacement lenses. Theirs are powder coated metal. Look for Truck-Lite part number 80463R for the complete assembly or Truck-Lite part number 99083R for the replacement lens. Truck-Lite tail light part number 80463R. Replacement tail light assembly for the Moto Guzzi V700, V7 Special, Ambassador, 850 GT, 850 GT California, Eldorado, and 850 California Police motorcycles.